The New York Lottery is promoting its “Happy Mother’s Day” April Scratch-Off Game with two print and outdoor ads and a radio spot encouraging men to become their mother’s favourite. 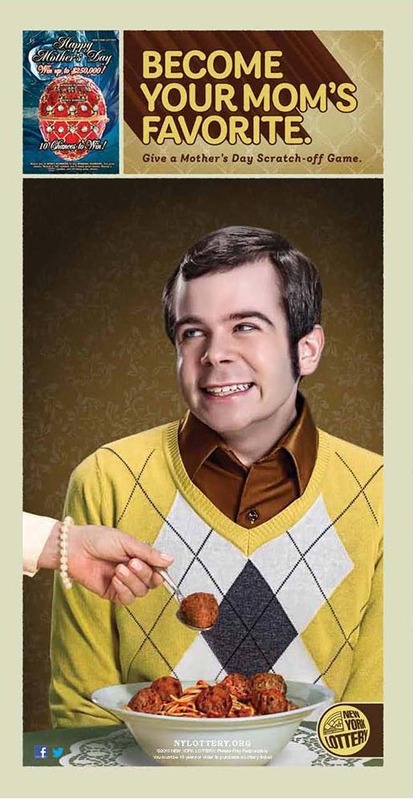 Two print/OOH ads, “Meatballs” and “Pinch” are reminiscent of 50’s style family couch portraits, associated with a mother’s nerdy favorite child. The creative will appear on phone kiosks in New York City, OOH digital billboards throughout New York State, and in popular print publications such as Newsday, Daily News and NY Post. The radio ad, College Graduation, will run across all NY markets and features an overwhelmingly supportive mother very vocally supporting her favorite son accepting his graduation certificate on stage, while relatively passively encouraging her second son. 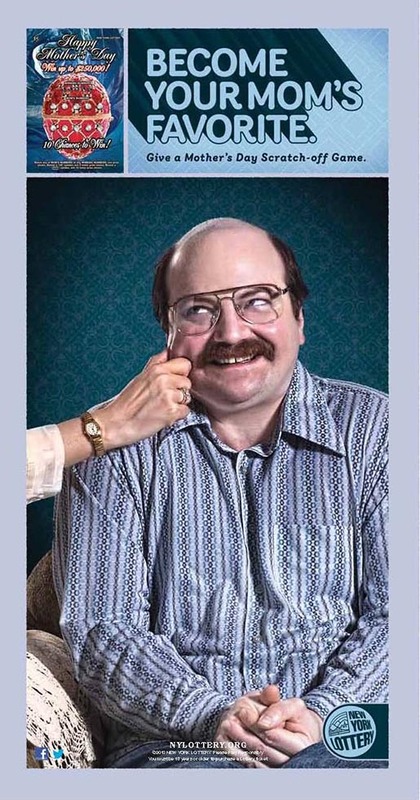 The ad humorously implies that the first son is the “favorite” due to his choice of Mother’s Day gift. The Mothers Day campaign was developed at DDB New York by chief creative officer Matt Eastwood, group creative directors Rich Sharp and Mike Sullivan, associate creative director Carlos Wigle, art directors/copywriters Rodrigo de Castro and Joao Unzer, executive producer Walter Brindak. The radio spot was produced at The Cutting Room Films. The print ad were produced by designer Juan Carlos Pagan, Brian Gartside, print producer Christie Dwyer, art buyer Jane Piampiano, project manager Julie Evcimen, retouchers Terry Sanders and John Cason, and photographer Matt Hoyle.